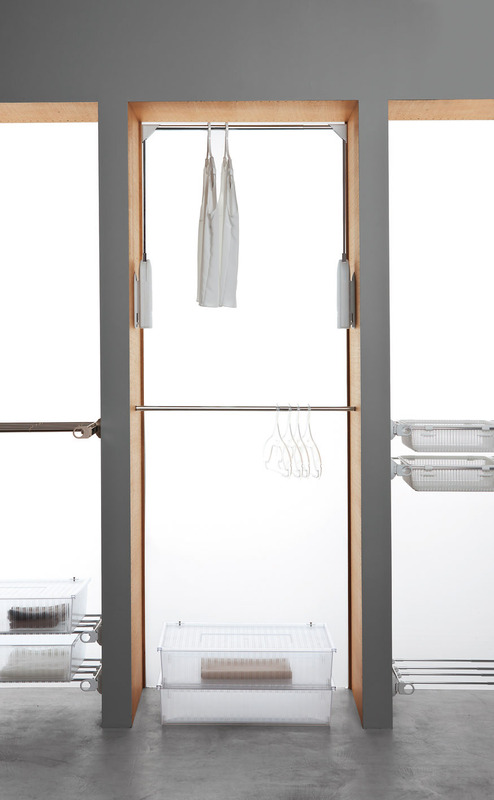 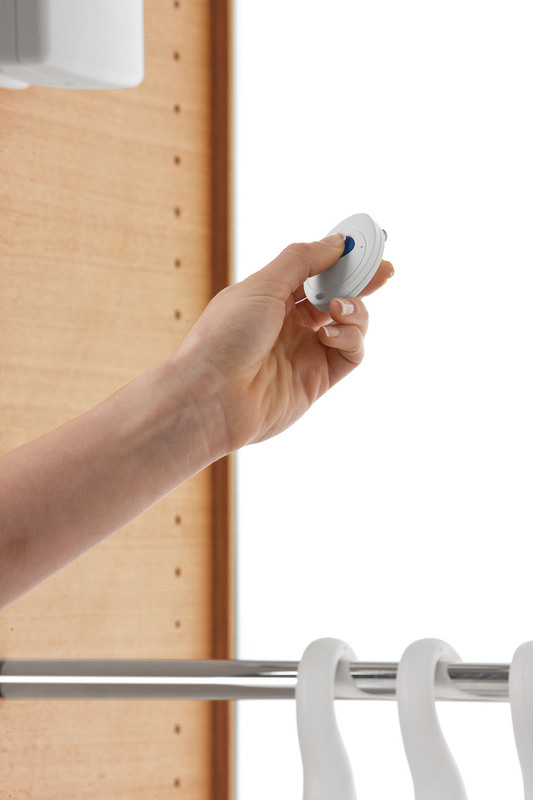 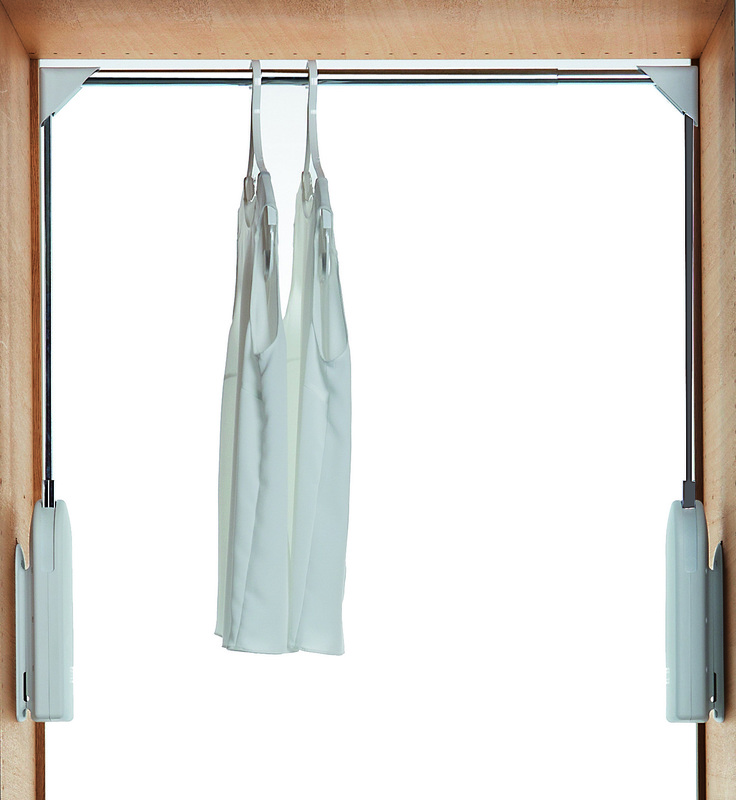 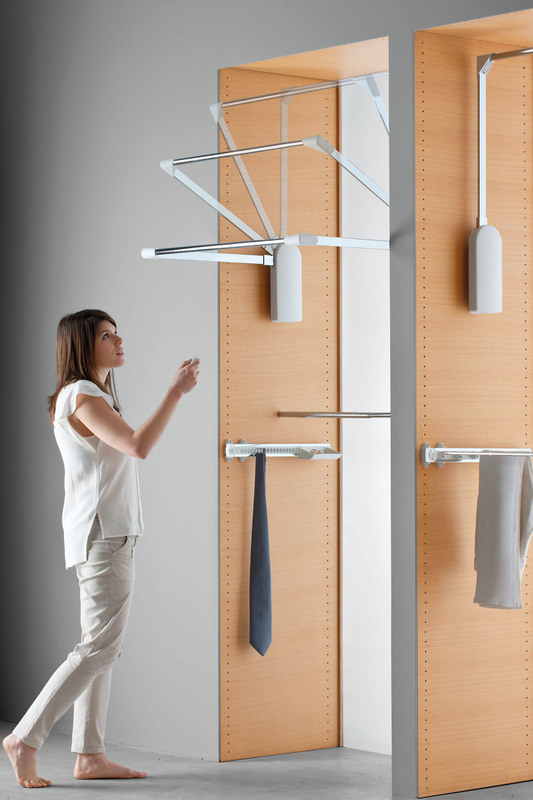 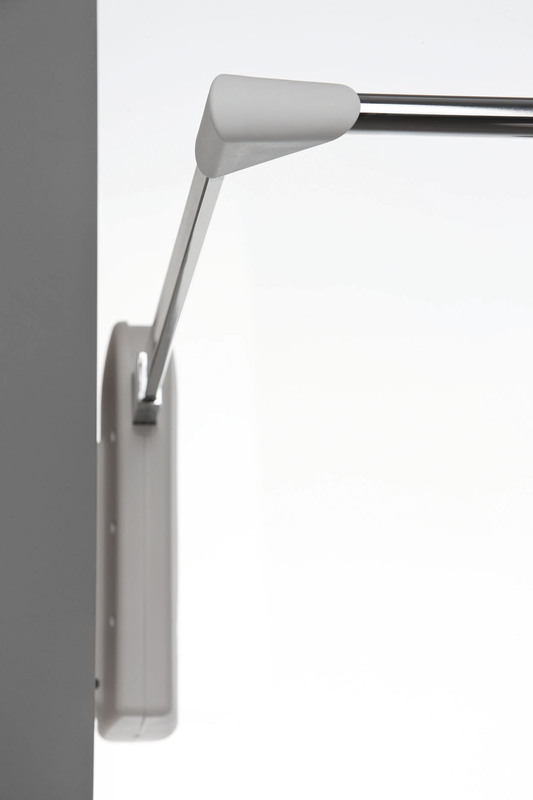 Servetto presents Servetto Elettrico: the electric wardrobe lift is working with a remote control. 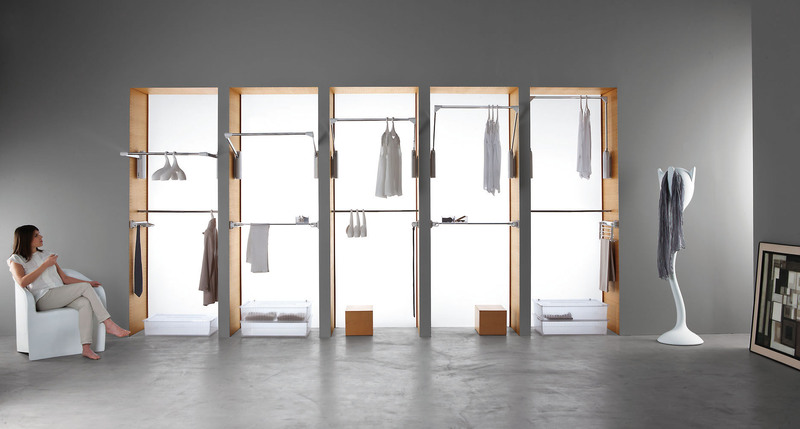 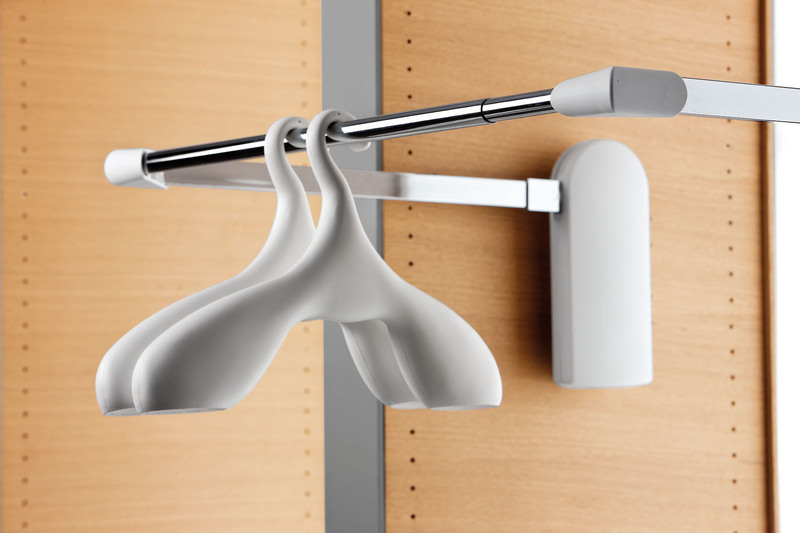 The clean and functional design in combination with an high load capacity make of this product a precious accessory for the most exclusive wardrobes. 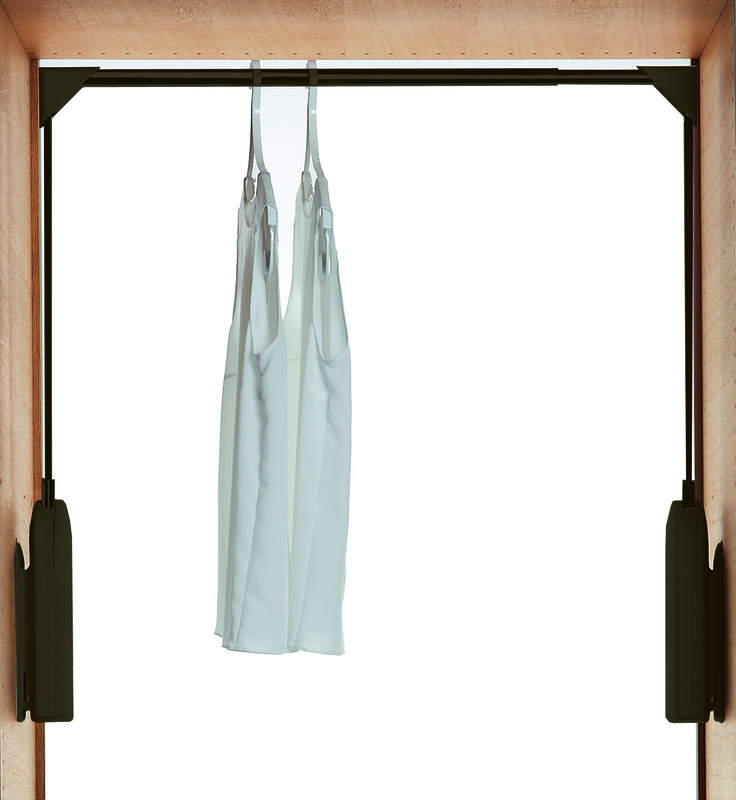 It is supplied with a single-button remote control: simple and easy to use, you can activate the electric wardrobe lift with just one click.